Cypher Records is an independent boutique record company dedicated to bringing talented but undiscovered artists, to the attention of the listening public. Cypher Records focuses on the quality of the music, not on genre. Whether Rock, Country, or Acid Jazz, it's got to be good. Our artists have had songs featured in movies, on the radio, and television commercials. Browse this site to discover music that runs the gamut from familiar to outrageous, yet always excellent. Enjoy the MP3 downloads from our artists. Cypher musicians have generously provided permission for the songs on this site to be used for personal use. See the Rules of Use at the bottom of the page for more information. At Cypher Records we understand that artists of all kinds need music. Movies, television, video games, websites, and other projects need sound on a limited budget. Cypher has easy pricing for all our music. If you like the sound, but need particular music for your project, visit Friction Studios for additional options. Complete your artistic vision with sound from Cypher Records. A complete listing of the MP3 downloads available at Cypher Records, including the free downloads available for personal use, artistic projects, movies, websites and other commercial uses. If you do not find what you need, consider hiring Tom Cram and Friction Studio to record unique music created just for your project. Honest Engine formed in 1994 and recorded their debut CD COMBUSTION in 1995. The hit single 'Turn Out The Sun' was dubbed by X96 KXRK the 'Most Requested Local Song' of 1996. COMBUSTION was also crowned 'CD of the Millennium' by The Event newspaper. Honest Engine's second CD, OVERHAUL featured a heavier, stripped down, rock sound. The CD was greeted with unanimous praise from local critics. After their Western Tour, Honest Engine returned to the studio to record their third CD, 'High Octane' due to be released this year. 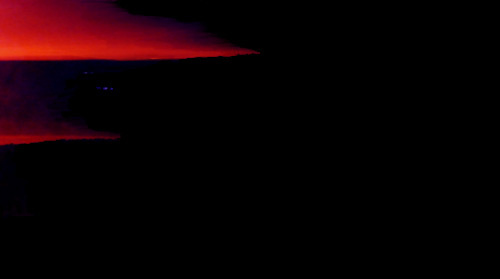 The Flat Earth teeters on the edge of the familiar and the unknown, simultaneously comforting and corrosive. Juxtaposing traditional instruments like the dobro against the modern Chapman Stick. Drum machines wrestle with african percussion while acoustic guitars copulate with fuzz boxes. Like rampant mutants these terribly beautiful 'Rocktronica' creations lurch out into the world. Mr. Sunshine is the alter-ego of Tres Jones. Tres is a singer-songwriter that has been active in the Salt Lake music scene for some time. The Mr. Sunshine album 'Estranged' has garnered excellent reviews locally and featured the creative contibutions of many local prominent Salt Lake artists. Diverse players from diverse bands came together to create a cohesive collection of Americana-tinged rock that feels like a well-loved quilt. Points West was formed in the early 80's by Tres Jones and Cram. This band played extensively around Salt Lake and surrounding regions throughout the 80's and early 90's. The long lost EP 'Tumble Down' has never been available until now. A backup copy of the erased master tapes was found and then re-mastered. Points West was heavily influenced by the region where they were formed. Many songs were written around the campfire or in small rustic mountain top cabins. The music evokes the distinct western flavors of dusty breezes, red rock, and leather. Rumors of new material have been circulating, check back to see if the rumors are true. 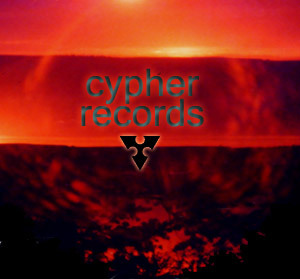 Cypher Records & Productions and Friction Studios support artists through a strict policy of enforcement of copyright law. All music and artwork on this website is fully protected by copyright law. The musicians featured here have generously agreed to allow the songs on this page to be downloaded for personal use. It is legal for you to download this music and to share with friends. However, the musicians reserve all rights under copyright law. You cannot use this music on your website, sell or otherwise use the music for profit, or use the music for film or other projects without the written approval of Cypher Records or the individual artist. Licensing for film, television, video games, web and other artistic uses are available at reasonable prices. Don't steal from artists. Visit the Licensing and Distribution Page for quick and easy licensing information.